This week we had an awesome week, mostly because we had a Zone Conference on Thursday and that was amazing and just what we needed to hear. We talked about the power of the Book of Mormon and also talked about deciding each day that you are going to make it a great day, and lastly about leaving meetings not being a turkey, but rather leaving soaring like an eagle by applying the stuff we learn in the meetings. 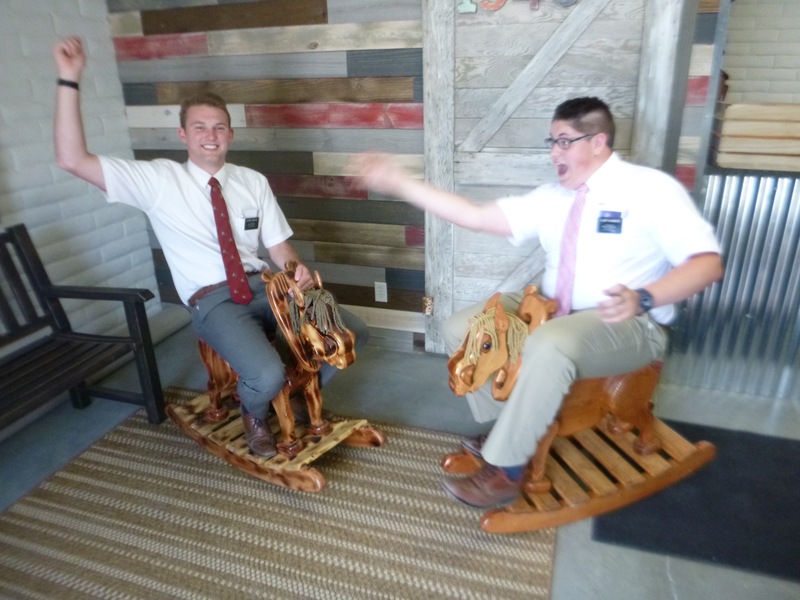 I had exchanges this Tuesday with Elder Willis and they were way fun and we ended up contacting and meeting a lot of new people, and met this lady and her son on the street named Sister Juarez and we taught her about our purpose as missionaries and have an appointment for Thursday at 1 so that should be good hopefully. The picture is inside the waiting room of a car shop while our car’s ac was getting recharged. 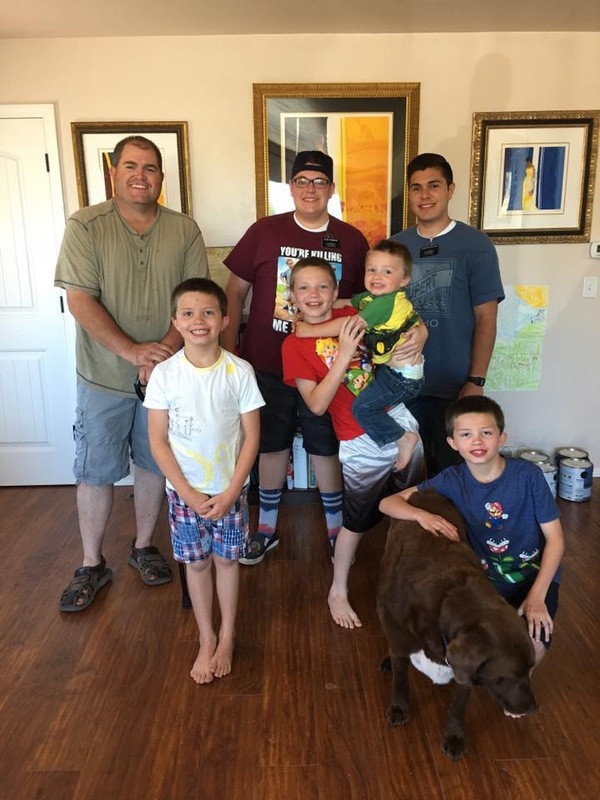 We finally met with the Gallegos Tuesday night and they expressed their doubts and why they haven’t been coming to church and keeping commitments and so now they are ready to start up again and get serious. Because of that, we had to move their baptismal dates to July 15th but pray that they will come to church so they can be baptized please! We had a great lesson on Sunday about the Gifts of the spirit in Sunday School and the spirit testified strongly of what was being taught was true. Pam and Kenyon Barrett came to that class and I think they really needed it so that was awesome as well. We have been painting at a family’s house named the Hutchings and I will send pictures of when it is done but they truly are awesome. He is a veteran from the war, and they are a great family. 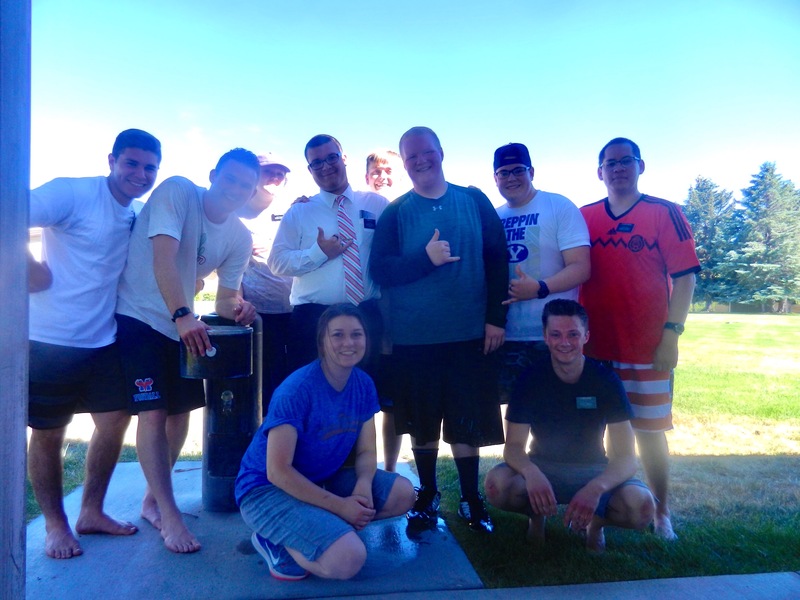 On Monday we had an awesome time in the Rupert Stake Center playing Frisbee and soccer and the best part was when the sprinklers came on and cooled us down. There is a picture of that as well. Well that is pretty much all for this week but thank you for all of your service and the power of your prayers. Love you all so much!